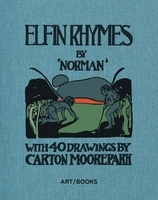 Paperback, 8.25 x 10.25 in. / 160 pgs / 138 color. Photographs by Arne Svenson & Ron Warren. Texts by Augusten Burroughs, Todd Oldham, William Wegman, Roz Chast, Maira Kalman, Rick Meyerowitz, Isaac Mizrahi, Andrew Zimmern. Photographers Arne Svenson and Ron Warren--co-authors of the popular Sock Monkeys--here turn their attention to those masses of slobbered-over yarn, remnants and stuffing that ordinarily go the way of all pet toy casualties and get discarded without a second glance. 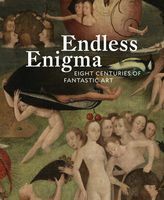 Before their lenses, once-plush cuddly creatures and formerly bouncy rubber toys are transformed into intriguing eyeless, armless, one-legged sculptures--snatched, from the jaws, so to speak, of oblivion. A headless bunny rabbit, mutated plastic rat, masticated rubber hotdog or donut--each is a beloved pet's dream companion, transfigured by the sharp teeth and powerful jaws of the overinfatuated animal. Svenson and Warren have photographed the chewed victims in a formal yet irreverent style appropriate to the perspective of the pet; the result is a humorous appraisal of beauty, devotion and contentment. 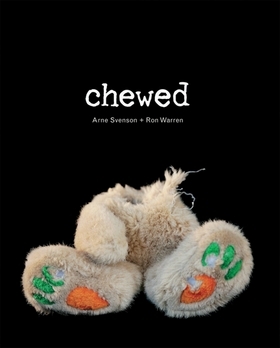 With more than 130 full-color photographs, Chewed includes delightful, twisted and poignant short stories by a variety of contributors writing about their favorite chewed creature, including writer Augusten Burroughs; artists Roz Chast, Maira Kalman, Rick Meyerowitz and William Wegman; designers Isaac Mizrahi and Todd Oldham; and food-world personality Andrew Zimmern. 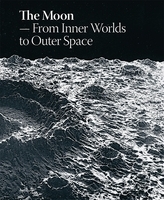 Featured image is reproduced from Chewed. Tortured animals have never looked so cute as in Chewed, Arne Svenson and Ron Warren's photo book of pet playthings decapitated, amputated, and gouged by too much love. Featuring examples from notable pet owners ( including Augusten Burroughs, Roz Chast, and Todd Oldham-who reveals his dog's taste for plastic eyes…), the collection captures the fatal attraction between man's best friends and their favorite toys. Sometimes it’s the eyes that go first. Other times, it’s an arm or a leg, until the trusty companion has been rendered lovingly limbless. Regardless of how your canine goes in for the kill, one thing is for certain: The more eviscerated and bedraggled and fluffless the dog toy, the more precious it is to your pup. Even though we don't recommend letting your dog's toy get this far gone (think choking hazard! ), it does make for some aesthetically curious doggie handiwork. At least that’s what photographer Arne Svenson thought when he compiled his whimsical new book, Chewed, which is packed with playful portraits and high-profile essays from the likes of Isaac Mizrahi, William Wegman, and Bizarre Foods host Andrew Zimmern. Arne Svenson and Ron Warren’s 2002 book, “Sock Monkeys,” effectively elevated the status of a simple toy, showcasing 200 portraits of sock monkeys. 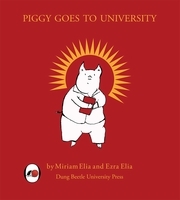 Their new book aims to do the same thing for dog toys. "Any dog or cat owner will speak of a favored toy that, in the course of being gnawed, shredded, punctured, torn, eviscerated, has become an indispensable companion to their pet. They will recount with wonder their pet's specific manner of ravaging this toy, or even try to convince you that a deliberate pattern of transformation is at work. But do they ever really see this be draggled object of their beloved pet's desire? This question arose when we visited a friend and were met at the door by her dog, who presented us with a slobbery mass of yarn and stuffing: the gutted remains of a handmade sock monkey. 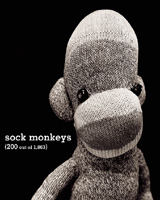 Having spent years photographing sock monkeys for a previous book, we were well aware of their 'un-chewed' form. 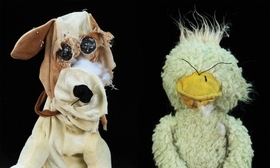 Intrigued that such a benign plaything had so readily become an eyeless, armless, one-legged monster, we realized that we had found our next project--portraits of chewed toys as seen through the eyes of the adoring chewer." Arne Svenson and Ron Warren, excerpted from the foreword to Chewed. Edited by Stacy Wakefield. Photographs by Kate Lacey. FORMAT: Pbk, 8.25 x 10.25 in. / 160 pgs / 138 color.